The southern harbour region has the highest number of patients receiving assistance because of mental health problems, fresh data shows. When it comes to localities, Birkirkara, which has the second highest population, tops the list, with 30 patients receiving assistance. Twelve of them were aged between four and 16, another 16 were in the 17-62 age bracket and two were older than 62. The numbers emerged from a profiling exercise carried out across the island by the LEAP centres with the aim of identifying the number of residents with mental health problems who are eligible for food provided by the European Union. The data was tabled in Parliament this week by Family and Social Solidarity Minister Michael Falzon in reply to a question by Nationalist MP Ivan Bartolo. Although the numbers for Birkirkara were the highest, overall, the majority of cases came from localities in the southern harbour region, which is made up of 14 localities – Valletta, Vittoriosa, Senglea, Cospicua, Żabbar, Fgura, Floriana, Kalkara, Luqa, Marsa, Paola, Santa Luċija, Tarxien and Xgħajra. In Cospicua, there were 15 minors and 12 adults registered as having mental health problems. Similarly, in Żabbar there were 26 patients – six minors, 17 adults and three over the age of 62. Out of 186 people offered mental support, the data showed that 75 hailed from this region. Another 47 resided in the northern harbour region, made up of Qormi, Birkirkara, Gżira, Ħamrun, Msida, Pembroke, Pietà, St Julian’s, San Ġwann, Santa Venera, Sliema, Swieqi and Ta’ Xbiex. There were seven minors and two adults who were identified as having mental health problems in St Paul’s Bay, which forms part of the northern region. According to an exercise carried out last year by the Times of Malta, the locality registered a 26 per cent increase in residents over three years. Mental Health Commissioner John Cachia said the numbers mirrored points he had made last year in his annual report for 2017. In it, he had also noted that the relative risk of acute involuntary admission as a result of mental health problems was much higher for residents of the southern harbour and northern regions compared to the rest of the country. 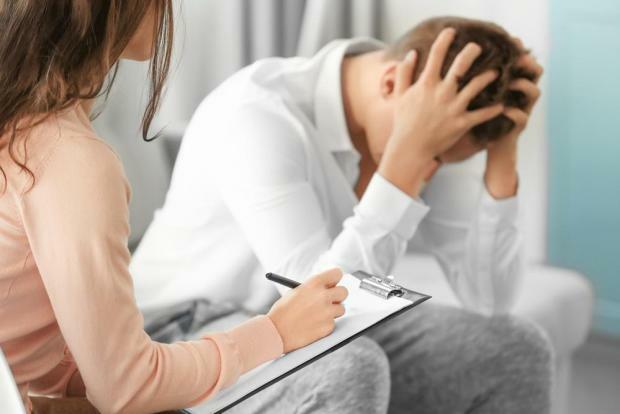 Dr Cachia pointed out, however, that more awareness about mental health was resulting in more people from different localities seeking help, which he said could result in a shift in trends in the coming years. A spokeswoman for the Richmond Foundation echoed Dr Cachia’s comments, saying that while a decade ago the majority of those asking for help from the non-governmental organisation came from certain specific areas, today more people from all localities were coming forward with their problems and seeking assistance.